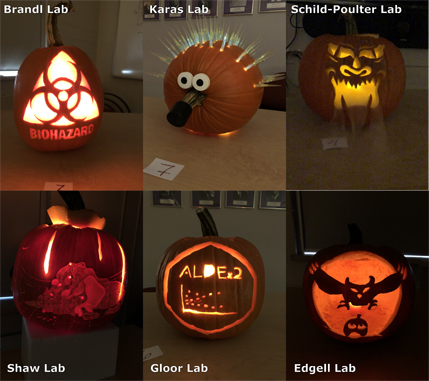 Biochemistry's annual pumpkin-carving contest took place the afternoon of 31 Oct. We had 7 entries, and the competition was fierce - each pumpkin was creative and unique and could have won first place. 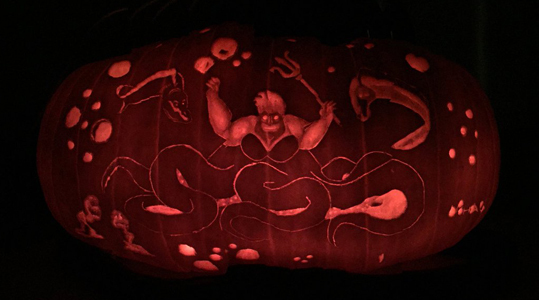 But, the winner was ..... the Shaw lab's carving of Ursula (from The Little Mermaid). Thanks to everyone who carved a pumpkin and voted. Photos and contest courtesy of the Biochemistry Graduate Student Association.